It is with heavy hearts that the family of Ruth Ann King, loving wife of William “Bill” King, announces her passing at the Saint John Regional Hospital on Friday October 26, 2018. Born 1949 in Saint John, she was the daughter of the late Gordon and Mae (Peterson) Norris. Ruth began her career with NBTel followed by Xerox where she was employed for many years. 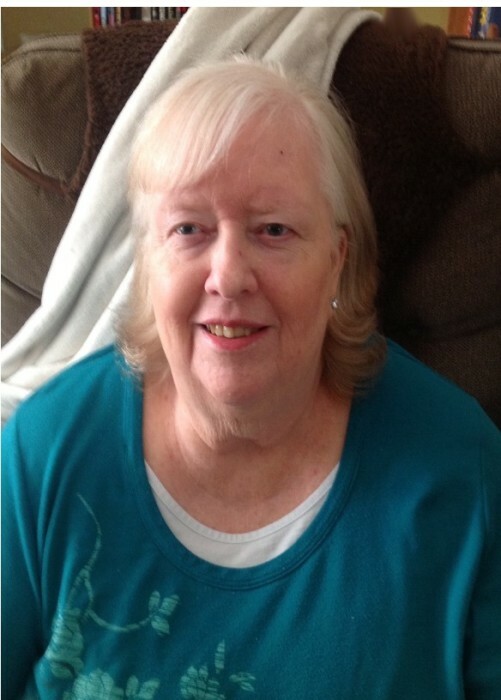 She enjoyed many hobbies including rumoli, cribbage, reading, computer games and Facebook. Ruth loved cats and had a passion for jewelry. She will be greatly missed by her husband Bill of Rothesay; daughter Monica of Saint John; brothers Malcolm (Margaret) Norris of Rothesay and George (Francis) Norris of Saint John; brother-in-law Robert (Debbie) King and sister-in-law Betty (Gordon) Robichaud both of Saint John; several nieces and nephews as well as her feline companion “Lola” and many close friends. Arrangements are under the direction of Fundy Funeral Home, 230 Westmorland Road (646-2424). As per Ruth’s wishes there will be no visitation or funeral service. A Celebration of Ruth’s Life for family and close friends will be held at Fundy Funeral Home Chapel on Wednesday October 31, 2018 at 2 pm. Interment will be held in Cedar Hill Ext. Cemetery, 1650 Manawagonish Road .